There are multiple methods used to locate and exterminate termite infestations. 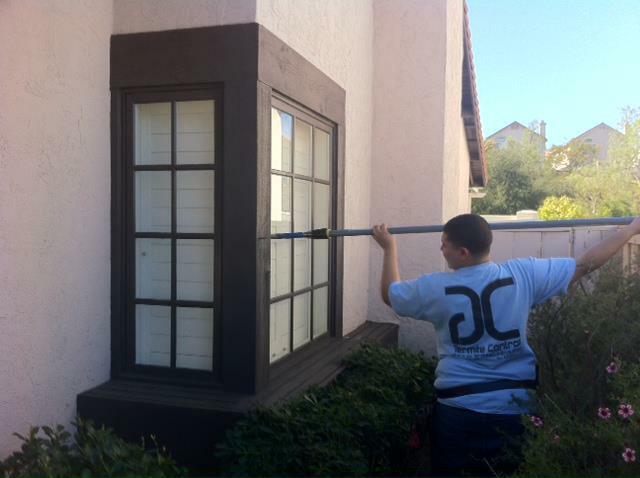 Here at GC Termite Control we use the most effective techniques and we are always updating how we work so you have the security that your house will be protected. When a GC Termite Inspector arrives at any property the very first thing that he does is to go and know on the door to let the owner/tenant know that we have arrived at the property. There the inspector will explain how the inspection is divided into two parts; Inspecting the (attached) exterior areas of the property, then a complete inspection of the interior of the property and the attic if one is available. The time frame for each inspection will vary depending on the structure and its size but it can be anywhere from 20 minutes to an hour and a half, sometimes more for commercial or multi-unit buildings. Usually your GC Termite Inspector will start with the outside of the property. He will be using a probing device to test all of the exposed wood on the property. While doing this he is able to test for any wood destroying organism damage. WDO's include Termites, Wood Boring Beetles, Fungi, and others. Some of the main thing that he is looking for is hollow wood or with tunnels for drywood termites, black stains, dry rotten wood, and for small plants for Fungi along other indications for other kinds of wood destroying organisms. There are times where the actual colony is located but at times we are only able to find evidence that one exist nearby, this is because termites live inside of wood pieces and sometimes they can be very deep into the structure. The only 100% effective way of eradicating problems like this is to fumigate the entire structure with Sulfuryl chloride. After testing all of the exposed wood your inspector will look for a sub area access panel (if available) to inspect the area. In there he will check for signs of any WDO and for water leaks which are a big pointer that there will be some damage close by. This is because Wood Destroying Organisms loves areas with a high moisture level. After completing inspecting the exterior areas of the property, the inspector will go back and knock on the door to get permission to access the interior of the property. In there he will be looking again for any evidence and for signs on your walls, ceiling and floors. Because probing causes some cosmetical damage, we do not use this technique inside to avoid marks on your rooms. 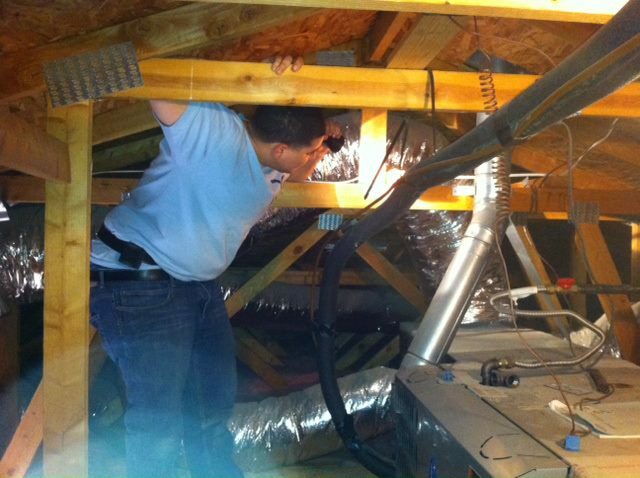 After finishing the complete inspection of the interior of the structure, the inspector will try to locate the attic access panel (if available) to inspect the area. In your attic because of all of the exposed wood and the open vents that need to be install to avoid overheating will make this a perfect target for Drywood Termites. 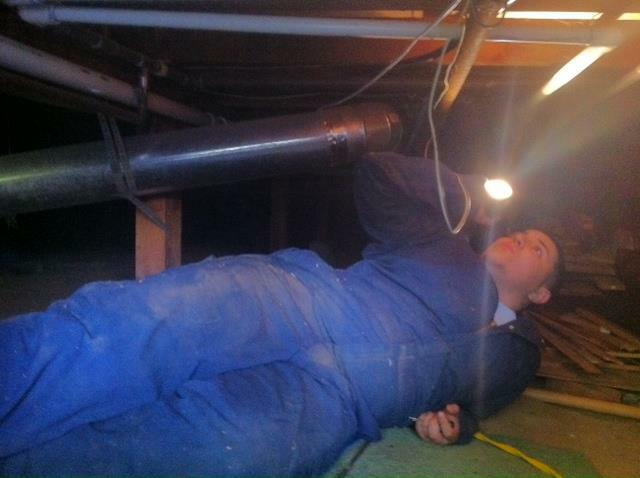 Inside of your attic your GC Termite Inspector will look at all of your rafters, roof sheathing, vents and on your structural framing to locate and identify any WDO. Once your GC Termite Inspector completes the free termite inspection he will advise the occupant of the findings and explain the proper recommendations to exterminate or take care of the issues. He will send a digital copy of his notes and recommendations to our central office where a report will be put together with the same findings and recommendations; it will also include the quote for us to resolve your property issues. This report will be sent out to the customer and if he or she has any questions we have always someone to help and to answer any concerns.